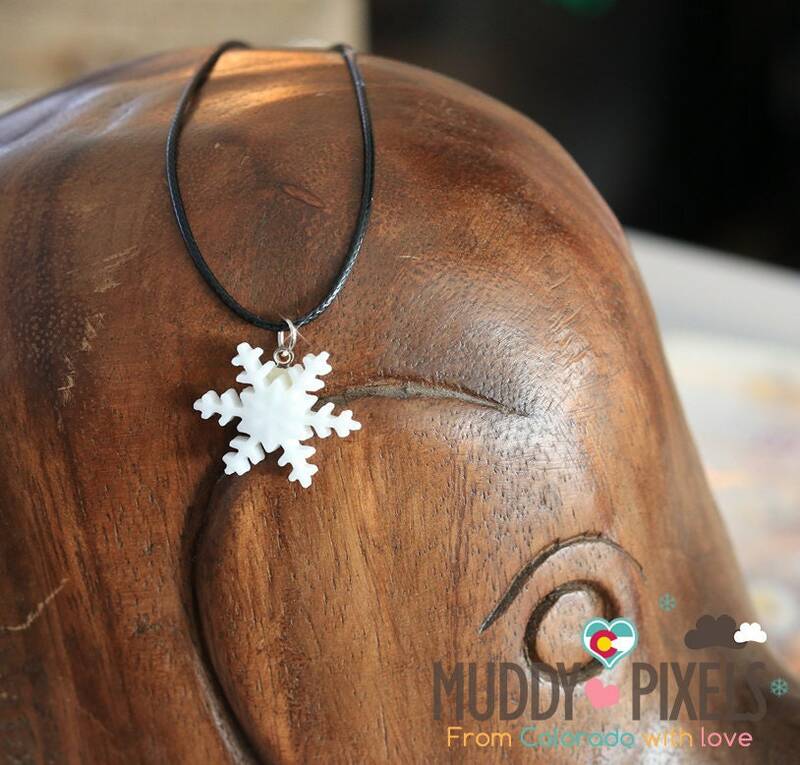 Cute little boho style ceramic snowflake necklace pendant! 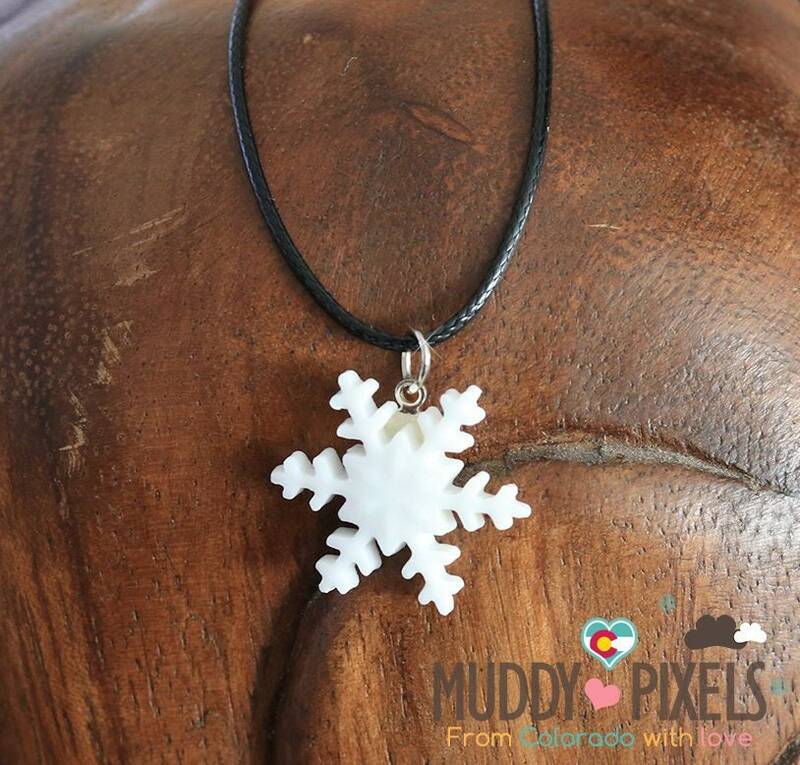 Great for Colorado lovers! This is a fragile novelty item that requires gentle hands and love! Made of ceramic clay. hot glue. They are very carefully packaged and shipped. Any questions? Feel free to convo us! All major credit cards accepted, as well as paypal! I am not responsible for shipping delays or any other issues caused by the USPS. However I will do my best to help you resolve a problem! I will ship internationally, however the rates have skyrocketed in the last year pertaining to weight (and ceramic isn't light), so buy if you please, but shipping charges are non-negotiable. International delivery will take generally 2-6 weeks on average. Due to the nature of my products, rush delivery is not available. My items are handmade, and will vary from item to item and will not be "identical" to the one shown, please understand this before purchasing any of my ceramics. If you would like a "proof" photo sent to you of the exact item you will receive, I am 100% okay with this and encourage it! All that being said, if you receive a broken item, I require you to return the item, and you will be given a refund, there are no exchanges on ceramic items due to their unique and one of a kind nature. I am currently accepting custom orders, however I would ask that you message me ahead of time to make sure I can produce it in your time frame. I am rather busy and do not always have time but I will do my best! Certain Items can be available for wholesale, please message us for wholesale inquiries! I always love to see what you've done with our products, please tag them #muddypixels so I can find them on social media! We can work with signatures, photographs, your pets paw prints, your kids drawings, (or yours!) etc. and turn your image or idea into something special. These are wonderful for In Remembrance pillows. I have had customers send me a sample of their signature and it becomes sewn into the finished project! Same applies to your pets paw print, or you and your families hand prints! Very fun for couples, parents and children, grandparents and grandchildren, etc! Avoid Exposure to moisture as metals in the jewelry will tarnish much faster. For our resizable rings: Gently adjust, no not force.